This pattern is hardly even a pattern, it’s more of a recipe. You plug in your gauge and the size of the foot you’re trying to fit, and away you go. 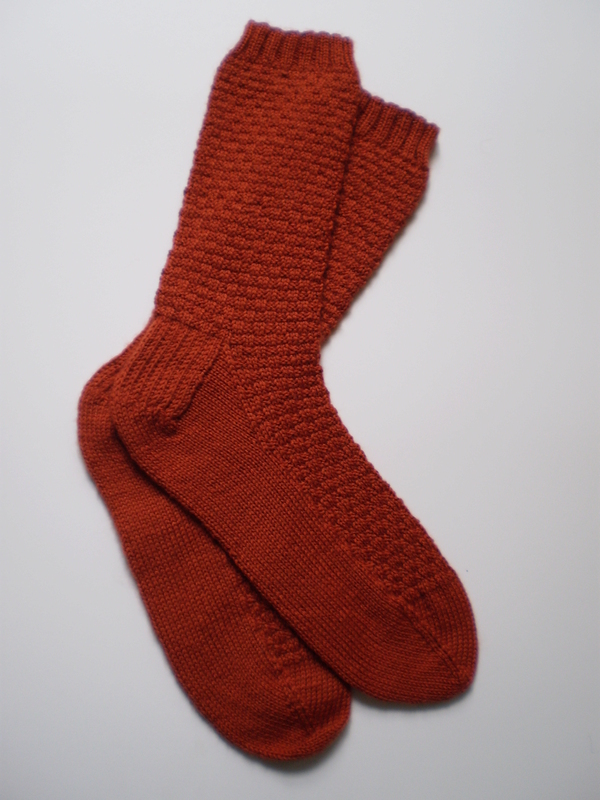 I show you how to do the math, so you’re free to play with color, texture, and stitches, all the while making an perfectly-fit top-down sock with a heel flap. 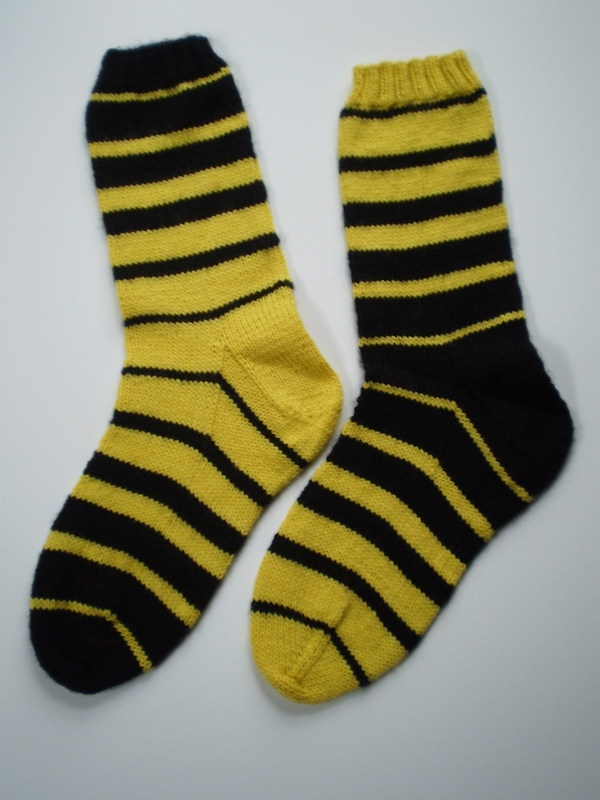 My brother got a goofy pair of black-and-yellow fraternal-twin socks. Because he’s my brother, and he’s a little goofy. 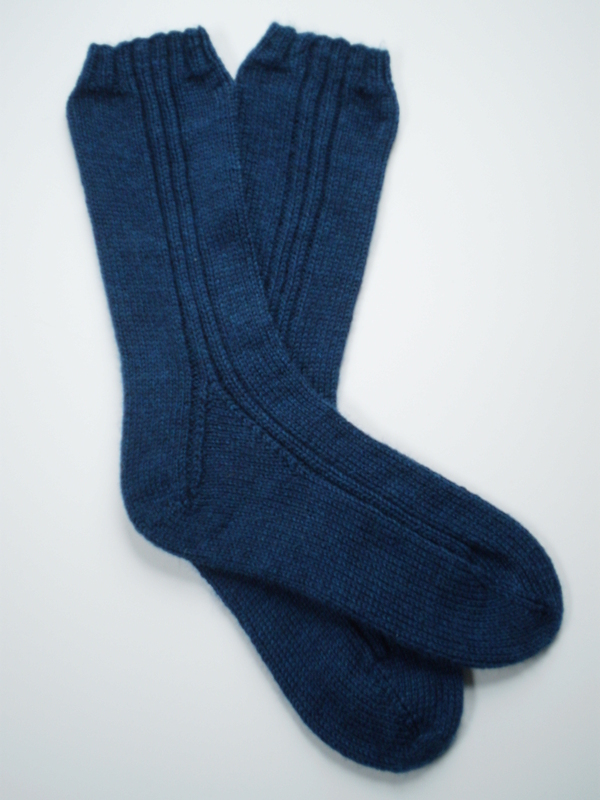 And my husband got a pair of socks in sapphire blue with just enough ribbing at the cuffs and down the sides to make them interesting. Woo! 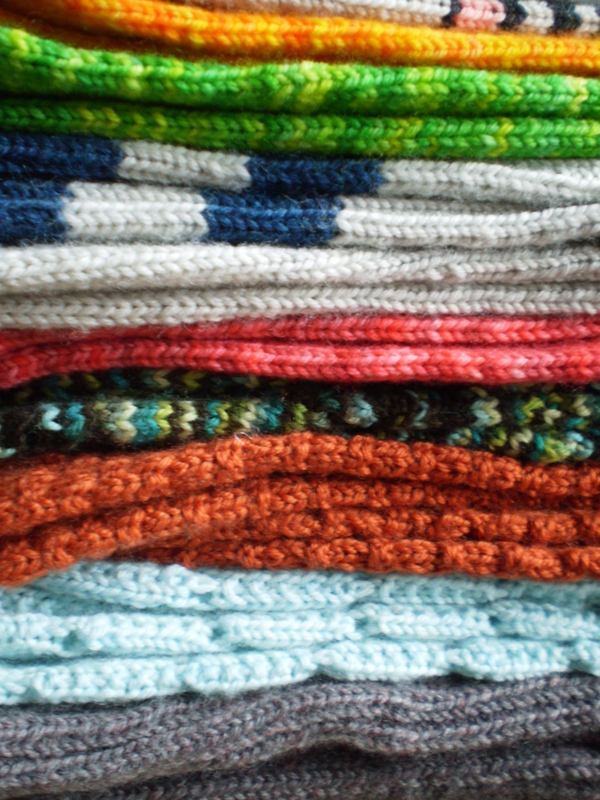 Socks for everyone! 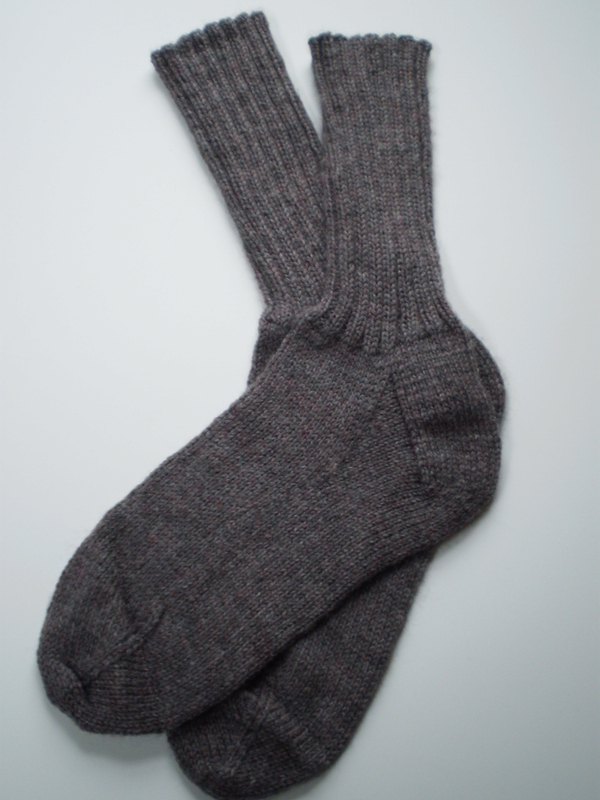 (OK, not quite everyone, but “Socks for everyone” sounds a whole lot better than “Socks for about three-quarters of the people on my list.”) And, with my Socks by the Numbers pattern, I was able to work up perfectly-fitting, customized socks without any problem! Did you have a go-to gift for everyone on your list this year? 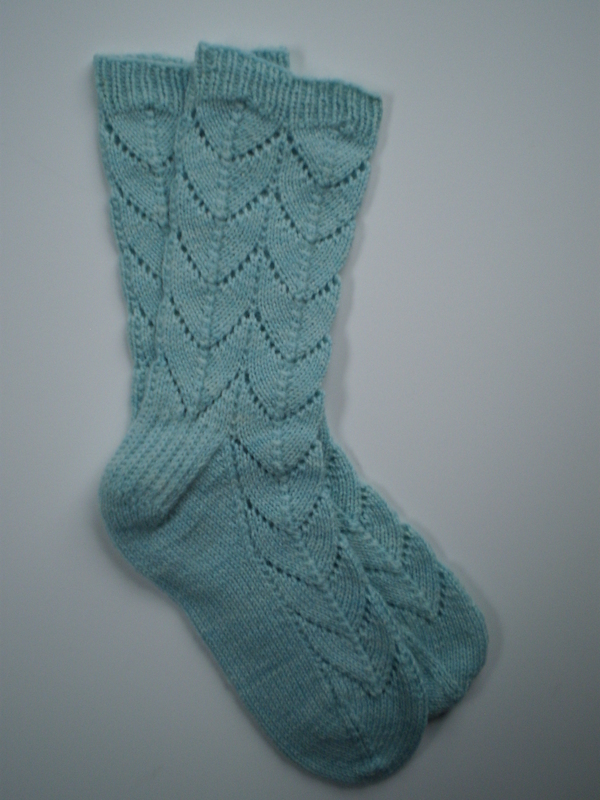 This entry was posted in Pattern Spotlight and tagged christmas, christmas gift, customized, gift, gifts, heel flap, knit socks, socks, socks by the numbers, top-down on December 28, 2015 by onemilljellybeans. Well done! As soon as I finish the dozen hats for the red hat’s for newborns born in Feb charity thing, I’m trying this! PS. 2 little hats in 2 days, yay!